LADWP general manager Ron Nichols has been making the case for higher water and power rates for half a year now. He has said they are largely mandate-driven. 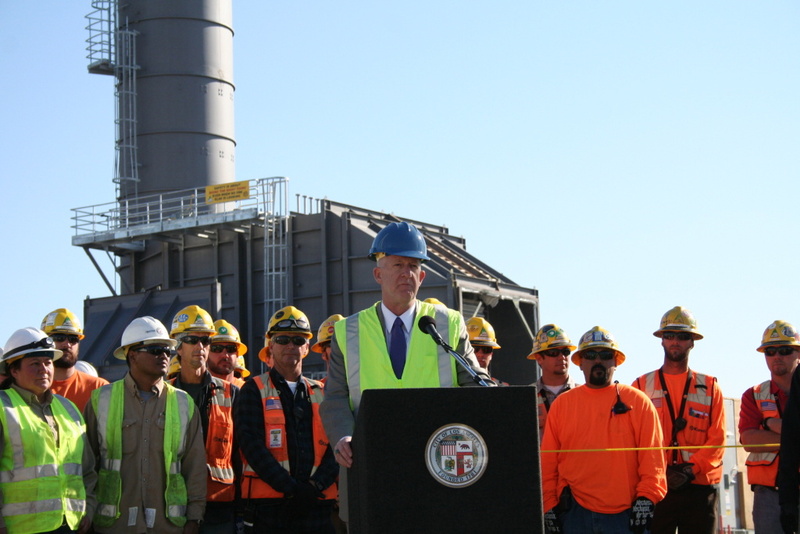 Ron Nichols, the general manager of the Los Angeles Department of Water and Power, will step down Friday. Since September, controversy has shrouded the DWP. The LA Times reported that two nonprofit trusts set up by the city and DWP’s largest employee union, the International Brotherhood of Electrical Workers, had received $40 million in public money with scant accounting of how it was spent. The groups are meant to improve training and safety for electrical workers. Nichols has served on the board of directors for each organization. Nichols disputes media reports connecting his departure to the controversy. In his office on the top floor of DWP’s Hope street headquarters, Nichols seems like a guy who has just dropped a great weight from his shoulders. His only plans past Friday are for a month-long vacation. Nichols has headed the nation’s largest public utility for three years. Under his tenure, the agency moved to embrace renewable energy, and took concrete steps to ending the city’s reliance on coal-fired power, which contributes heavily to greenhouse gases. KPCC will have more with Ron Nichols about his environmental legacy tomorrow. Who is LA County Interim Sheriff John Scott? What can the nascent legal pot industry learn from the Prohibition Era?